This allows minimizing the expenses for third-party services of SMS distribution because in this case, the cost of each SMS will be equal to one specified in the plan of your mobile network operator with no additional commissions. Local network – 1 pc. In our example, we use Cacti 0.8.8f, installed at Ubuntu Server 16.04.3 LTS. To get information on configuring the monitoring system Cacti, it is possible to address the official documentation. NetPing 8/PWR-220 v3/SMS - firmware description. Settings – it is a module with settings for plugins, plugins will not work without it. Thold - it is a plugin for notifications when critical parameter values of a device are reached. To install the plugin, there is a need to download archive with the plugin from the Cacti official website and unzip to the directory /usr/share/cacti/site/plugins/. After unzipping plugins, go to a web interface of the monitoring system Cacti. In the menu on the left, choose the menu item «Plugin Management» (1) and install. In the main area of the web page, sequentially click the buttons «Install Plugin» and «Enable Plugin» in the column «Action» (2). The button «Enable plugin» is available after the plugin is installed. Word Wrap – the number of characters in the line of the email, can be left on default. 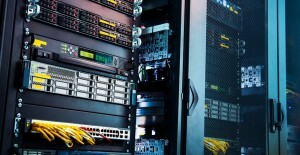 DNS Options – indicate IP addresses of the primary and secondary DNS servers. DNS Timeout can be left on default. Save the settings by clicking the button «Save». Email Addresses – is a list of e-mail addresses. Here, we also indicate the phone number for sending SMS notifications. Click the button «Create» for creating a contact list. Warning Emails – is a notification text. Cyryllic is not supported by the Cacti system. The rest of fields can be left on default. Confirm the change by clicking the button «Save». Ready! After setting all parameters indicated above, the email of a system administrator specified in the contact list will receive notifications about temperature getting close to threshold values and a deviation of temperature from the normal values. A ready file can be downloaded from here. 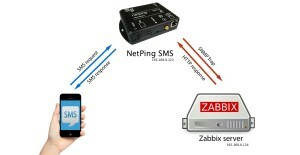 Do not forget to specify your data for connecting to the NetPing SMS gateway. 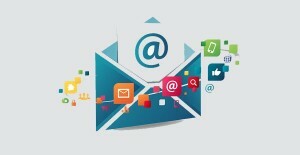 A feature automatically distinguishes e-mail from a phone number and sends an SMS or an email notification accordingly. 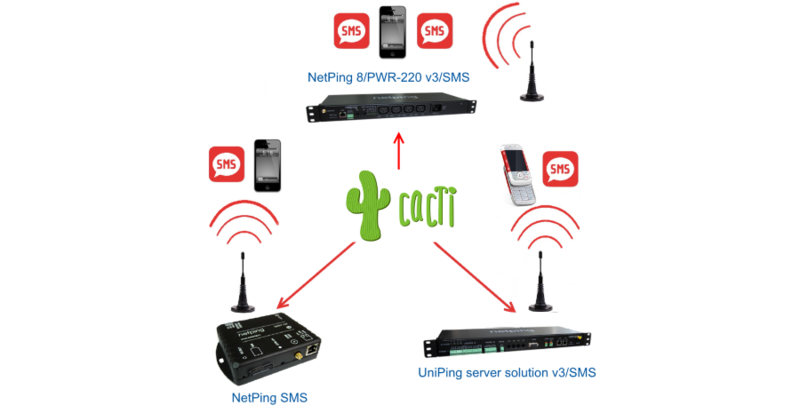 As a result, a system administrator will receive SMS notifications about getting close to threshold values and/or exceeding threshold values from the Cacti monitoring system. How to Connect an IP Camera to a Device for Monitoring a Server Room UniPing server solution v4/SMS for Taking Screenshots? 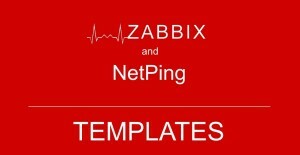 How to Monitor Zabbix via SMS Using NetPing SMS?